In today’s technologically dependent world there is so much available that you don’t have to spend more than four seconds Googling before you find several hundred or thousand job postings from various job boards. When using employment-related search engines, research titles found in “Sample of reported job titles:” to expand your list of jobs to review and possibly apply for. In addition, the summary report lists tasks, technology skills, knowledge, skills, abilities, education, wage and employment trends, and other useful information about an occupation. You can use this information a few ways: keywords for your resume; technology skills to assess training needs; wage information for negotiation; and to visualize yourself in that occupation to see whether or not it’s something you would want to do. If after reading and visualizing you decide that occupation isn’t for you, the report also lists related occupations that you might be interested in. You can even search for “Job Openings on the Web” at the bottom of the report. 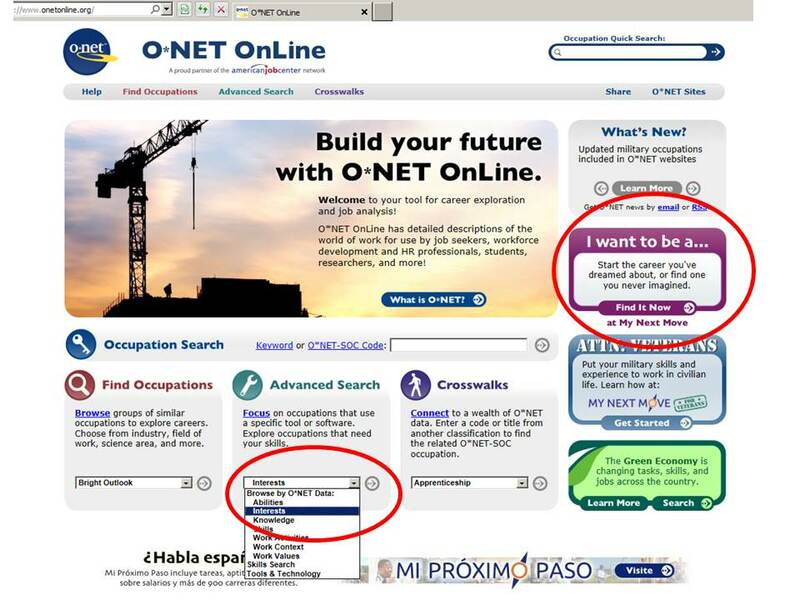 O*NET OnLine is a great tool for students, job seekers looking to change careers, and anyone exploring the world of work. And without ads, O*NET OnLine helps keep your job search research on track.